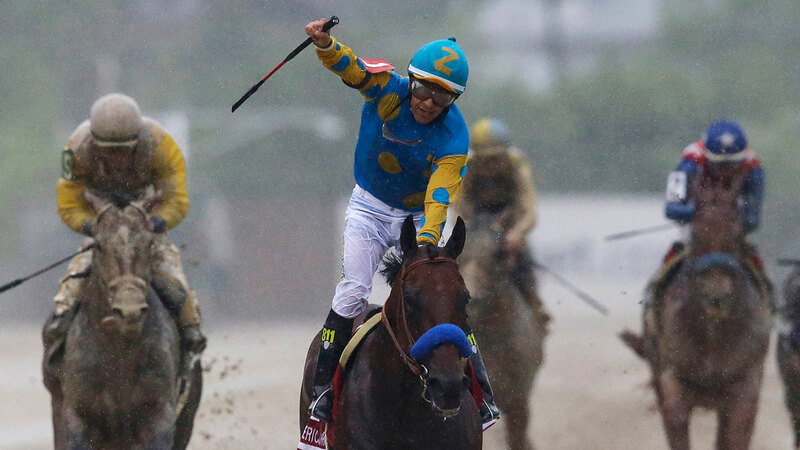 BALTIMORE -- American Pharoah won the Preakness by seven lengths in driving rain Saturday, keeping alive his Triple Crown bid. With victories in the Kentucky Derby and Preakness, American Pharoah needs a win in the Belmont Stakes to become the sport's first Triple Crown winner since Affirmed in 1978. American Pharoah will bring a six-race winning streak into Belmont on June 6 in New York. Breaking fast on a sloppy track as thunder roared in the background, American Pharoah took control early and won easily. Tale of Verve finished second, a length ahead of Divining Rod. Dortmund was fourth. The winner paid $3.60, $3.40 and $2.80.